In the present-day world, people have become intolerant, self-centered and merciless. They might even list out the reasons for this transformation. However, for a decent living in this society, they should show some restraint. This is what great spiritual scholars like Buddha, Jesus Christ, Lord Krishna and Prophet Mohammad have professed through their teachings. In this article, we would be looking at the 10 lessons that Lord Buddha has given to the modern society. 1. A Shining Example: The life of Buddha presents an open text-book of lessons. As a modern youth, one can select whichever relevant and adapt those in his life. 2. Discussions: You can discuss the lessons from the life of Lord Buddha with your friends and pick up some good points from it. You can even adopt those points in your life. 3. Think Out-of-the-box: Buddha epitomizes the concept of 'finding one's own way'. He practiced different methods in life and found out that none of them was working for him. Hence, he developed his own method incorporating good things he learned from the methods he had tried earlier. 4. Change Your Brand: Buddha was born as a prince. Though he grew in a palace, he decided to become a renunciant upon finding the truth. He was an experimenter and kept digging till he found the truth. As a youth, you can try different things till you your goal. 5. Sharing Knowledge: Like many other spiritual beacons, Buddha traveled and networked with people to gain knowledge. He believed in the concept of sharing the knowledge. This is something that the people so desperately want to do now-a-days to bring the level of people up. 6. Power of Experiment: Through his life, he has shown the world that experiment is the best method to find the truth. Don't simply buy concepts from others. Instead, you should try to find truth in them. 7. Differentiate between Worthy and Unworthy: Buddha had everything in his life. Yet, he chose to find something that is worthier than money or riches. He found that real and everlasting truth can only be reached by constant search. Hence, he advised the people not to run after transient wealth. 8. Harmony: Buddha wanted people to live in harmony with nature. Modern day environmentalists will endorse this sentiment. 9. Value of Patience: Modern youth suffers from impatience. They should have persistence in their efforts to achieve whatever goal they have set for themselves. This is what Lord Buddha has shown with his life to the world. 10. 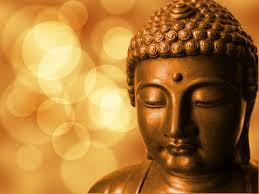 Forgive: Buddha has strongly recommended the people to forgive others. This actually clears a lot of mental blockage about various things in life and opens up our mind. In the today's world, the virtues have given way to bad qualities such as intolerance, hatred, mercilessness, etc. People have forgone the good qualities great religious scholars have taught them for their own convenience. In this back drop, the lessons from religious people become invaluable. In this article, we would be looking at 10 lessons that people can draw from the life of Lord Buddha.